Did you know that 81% of the recipients read or scan their mail daily and that 40% of customers will try a new business after receiving a mailing offer? 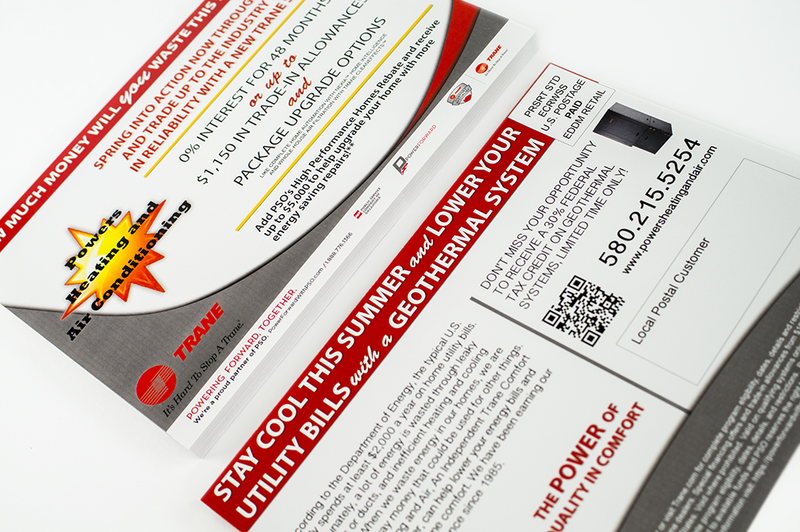 With the help of these oversized EDDM® postcards, you can reach new customers with our easy-to-use mapping tool. Bring awareness to your business, event, product or services. Printed. Our 100LB Gloss Cover postcards are printed full color (CMYK) single (4/0) or double sided (4/4) and are available in a variety of dimensions including 6.5 x 9, 8.5 x 11, and 9 x 12. 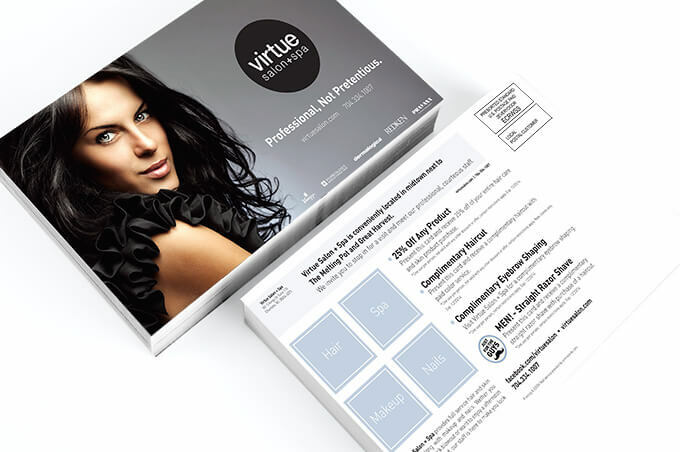 The cover stock provides a thinner alternative to our premium thick 14PT and 16PT thicker postcards. Why Use EDDM®? This USPS® service gives your business the ability to target local customers by mail routes or zip code(s) for less than traditional direct mail. Learn more about Every Door Direct Mail® by visiting our FAQ section. Browse some examples of our EDDM® postcards and designs by visiting our image gallery.